Rodents are more dangerous than they look, and it’s important to understand the risk they pose to the health of you and your family. If you suspect that there’s an issue, we strongly advise against attempting to remove them on your own. The trained experts at Critter Control® of Fort Worth are equipped to handle rodent problems while keeping you out of harm’s way. Squirrels – Often making their way into attics by gnawing holes in roofing structures, squirrels are notorious for making tons of noise and tearing up attic insulation, which can cause your energy costs to skyrocket. 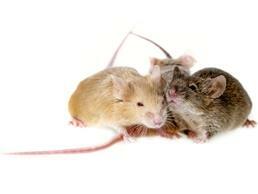 Mice – These little creatures are remarkably adaptable, and can be a real pain to track and capture. Mice reproduce alarmingly quick, which is part of why it’s so important to seek help right away if you notice any of the warning signs. They’re notorious for chewing through wiring and wooden structures because of their teeth that are constantly growing. Rats – Sometimes mistaken for mice, rats pose much of the same dangers to your home, and are able to climb as well. Don’t let your home or office fall victim to the dangers of a rodent infestation. 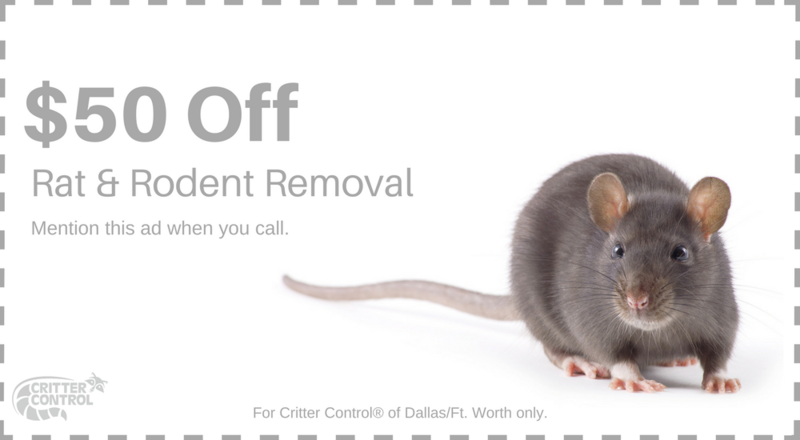 Critter Control® of Fort Worth has over three decades of rodent removal experience, so you know the job will be done right. Call us today at 469.805.6267 to schedule your free home consultation.